I LOVE books! One of my favorite things to do is curl up with a good book and read for hours. But, I have a 5-year old and a 7-month old so reading time is a little harder to come by. 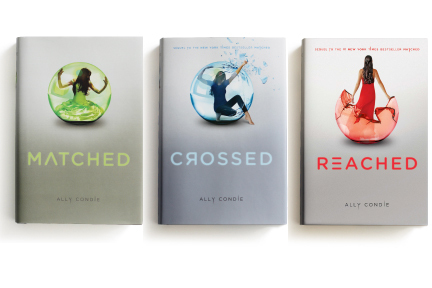 Having said that, Matched trilogy by Ally Condie has been so worth lost sleep and delayed housework! If you liked the Hunger Games, you will definitely enjoy this series about a "dystopian" society. They are the perfect quick, beach read. What have you been reading?